Making Room For You, Inc is a (501c3) non profit organization in that picks up un-wanted furniture items, R.V's, Trucks, Boats and Equipment in the Tulsa County area. ~Connecting with young people to provide them with growth opportunities through group involvement in a local peer group meeting and events. ~We provide monthly support to orphans. ~We are involved in Short term Missions work. ~We provide much needed furniture for people in the Tulsa County area. Most of the families we work with are in the process of moving into a new home or apartment, such as government housing. "Making Room For You" utilizes people from the community that volunteer their time to help others here in the Tulsa area. Do to the high cost of upholstery work, we do NOT repair couches or chairs. Any fabric or leather item that is torn or worn or damaged is considered to be in "C" condition. B. Good Condition: This furniture is also given to people who are referred to us from our partner ministries. We work to fulfill each request for help in the order they are received. C. Poor Condition: This furniture is hauled off to a recycle facility. 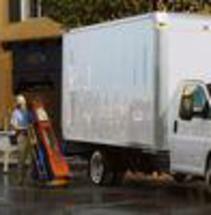 (There may be a small fee to haul off furniture that is not considered to be in A or B condition). We pick up unwanted furniture items being donated Monday through Saturday from 9am to 5pm. We are closed on US Holidays. Your continued support makes our good work possible. If your qualifying tax deductible donations CANNOT be used they COULD be resold and serve to fund our furniture donation program. If you have questions please contact Making Room For You by email or by telephone. The donation center will be able to assist you. Making Room for You does not set a valuation on your donation. It’s up to you to assign a value to your item. For professional advice, please consult your tax advisor. For information on our vehicle donation program, an individual can call for more information. While we often accept these items in any condition – running or not – due to differing regulations and other considerations, not all types of vehicles are accepted, so it's best to contact us first. Donations will result in a tax deduction in accordance with IRS rules. Making Room for you asks that individuals desiring to donate a vehicle would first read the IRS rules regarding donating vehicles in the publication: http://www.irs.gov/pub/irs-pdf/p4303.pdf (or the current document). We do not accept tv's. We would recommend that you contact: goodwill, satruck, best buy, or your local city trash service to have tv's picked up. You help with our land, building and vehicles expenses is valuable! Tulsa is home to approximately 642,000 people with 25.5 percent below the age of 18 years old ( that is about 160,000 young people). Our weekly fellowship and mentoring group makes a difference in the lives of young people, and your donation helps provide the resources needed to reach more young people! We also host monthly outreach events to deliver furniture to families that have been identified through community organizations. Our quarterly developmental and growth opportunities provide great life experiences for young people. Annually we take short term teams to visit schools in other countries. Involving young people in these projects gives them valuable life and leadership skills. Thank you for helping us to meet our continuing costs in this area, you can donate through paypal or by contacting us!